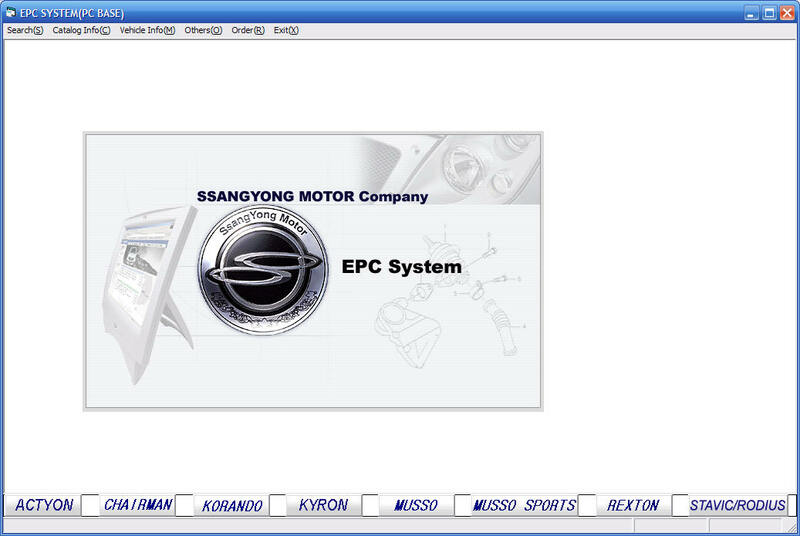 Каталог запчастей Ssang Yong EPC оригинальный каталог авто запчастей по Ссанг Янг. Модели - Rodius/Stavic , Kyron , Musso, Musso Sport, Chairman , Korando , Rexton , Actyon, Actyon Sport. В электронном каталоге авто запчастей Ssang Yong EPC представлены следующие модели автомобилей Ссанг Янг - Rodius/Stavic , Kyron , Musso, Musso Sport , Chairman , Korando , Rexton, Actyon, Actyon Sport. 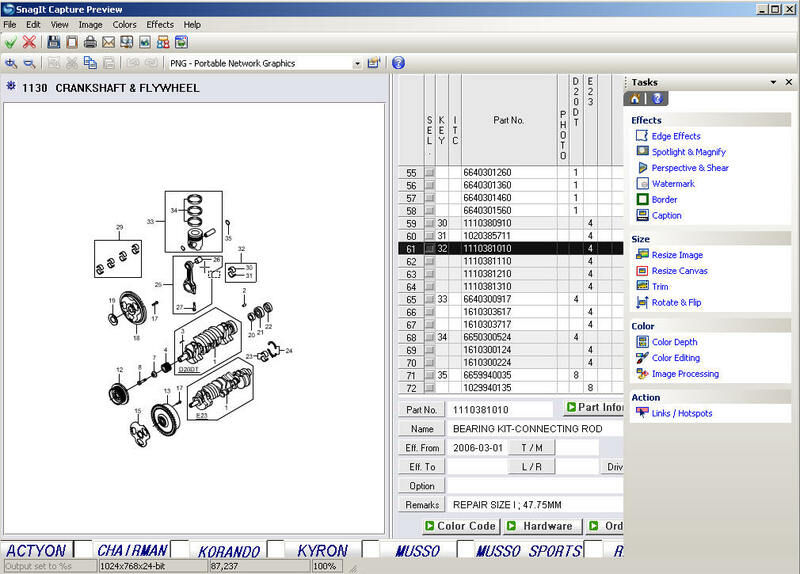 The parts information does not move and change anything even if you click Item no. 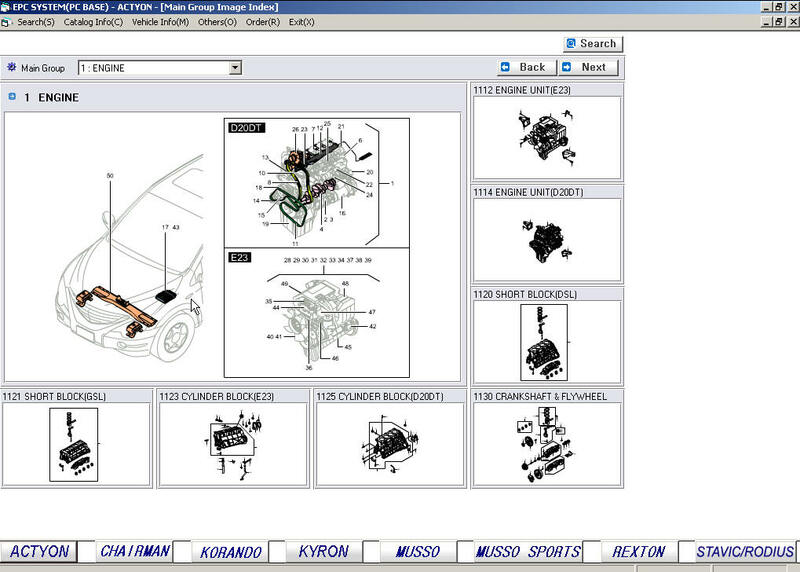 in a picture of New Parts Catalog Section. Then please check and follow the directions of this attachment. This is not the matter caused by EPC. Its concerned with a security policy of FLASH PLAYER 8.0.
if youre using Flash version 7.0 or havent gotten any problem on that, you dont need to follow the directions.